In our authentic hostel you will get more out of Berlin, because the real Berliner does not live at Alexanderplatz, they live in the neighbourhood’s between Spätis, vintage shops and bars, in a tiny tree-lined street. Here a beer is 1,50eur and many of Berlin’s famous clubs, including Berghain are in walking distance. With one of our brand new bicycles you can discover the most important sight-seeing spots without any stress, or you can get to Alexanderplatz simply by taking the U-Bahn for just four stops and then take part in one of the many tours offered there. If you decide to discover our local area will find plenty of vintage-shops, lovingly equipped cafe’s, little flea markets, yoga schools, lots of kebab shops, all varieties of distinctive bars and Bio Shops, all of which have the unique feel of the Friedrichshain area. When you visit Berlin – be like a local, get off the beaten track. 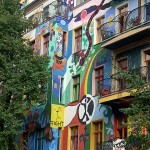 Berlin is so much more than just the “Brandenburger Tor” and “Potsdamer Platz”. To help you make the most of your time here the staff at U inn Berlin Hostel have made a selection of real, local places which you should visit to experience the real taste of the best city in Europe. In Prenzlauer Berg, Friedrichshain and Kreuzberg you will find plenty of interesting places like squats, street art & graffiti, underground clubs and after hour bars but also great local parks, cafes and the best spots in Berlin to watch the sunset. 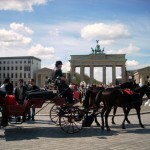 Where else can you find history and fun as intermingled as in Berlin? Berlin is a party city. No city in Germany has a better nightlife and everything here is about nightlife. A new club opens, a new event is announced. The location where you partied last weekend is now a shopping mall. Everything changes so quickly in the Berlin party scene that even locals do not know all the secrets. Where to go this weekend? Which club? Which after-hour bar? Which park? At our reception we will tell you what you need to know, the latest info on the places to be. The monument of techno culture. It’s where it all started in the early 90’s. But times have changed. Will New Tresor make it back to being the top club in Berlin? No one knows but it’s certainly worth a visit. Times change, people change, youth culture changes. 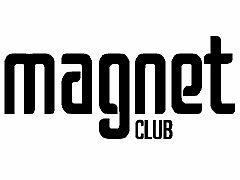 The Magnet Club is the number one club if you are looking for a Neo/New Rave or Trash-Pop/Rock party. Colourful and neon-lights!! DThe chill-out area of Kreuzberg. The club literally floats on the Spree river and starts getting busy at sunset. Sunday is when Berliners go to CdV before looking for an after-hours party. There are many things to explore in Berlin. Everyone knows Brandenburger Tor, the Reichstag, Eastside Gallery and the Tacheles. But it is not easy to find all the lesser known places. Which free tour is the best for you? You can spend your whole time trying to find everything yourself or gain from the experience of a tour guide. In Berlin there are many tours available including several ‘Free Tours’ – You can go on a short- fast trip through Berlin or choose one of the many topical tours. 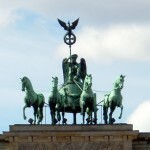 This tour weaves through Berlin’s history by visiting landmarks such as the impressive Brandenburg Gate, the notorious Berlin Wall and the beautiful Gendarmenmarkt…. The tours take place every day, 365 days a year. The meeting point is at Potsdamer Platz #10 in front of the Balzac Coffee. These guys show you the real Berlin. No Brandenburger Tor, tourist-busses, instead Kreuzberg and Friedrichshain, street art and music, squats and alternative living. No lack of grit here. Biking through Berlin! A great way to discover Berlin is to bike through it. Everyone can do it for the city is more or less flat. The Finding Berlin tours take you to see the real Berlin and allowed you to discover why so many people fall in love with this city and deceit on moving to it. Join Martin the tour guide, who loves his Classic–Vintage bikes, on a 4 hour long tour to Kreuzberg, Friedrichshain and Prenzlauer Berg. Everybody knows this tour company. New Europe footsteps can be found in Amsterdam, London, Paris and also in Berlin. This is high professional sightseeing. Meeting point is always 11am at the Brandenburg Gate.